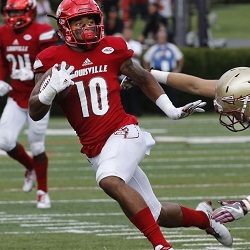 Jaire Alexander, CB, Louisville (NCAA): The sophomore cornerback and kick returner scored on a 69-yard punt return, had another punt return for 60 yards, and recovered a fumble in the Cardinals’ 63-20 rout of (then) 2nd-ranked Florida State on Saturday. QB Lamar Jackson received and will continue to receive almost all of the attention for (now) 3rd-ranked Louisville, but Alexander is one of the so-far unsung weapons who have this team looking like arguably the best in the country. Darrelle Revis, CB, New York Jets (NFL): He stole what was supposed to be Andrew Luck’s show on “Monday Night Football,” intercepting one pass and recovering two fumbles in the Jets’ defensively dominant 20-7 victory. 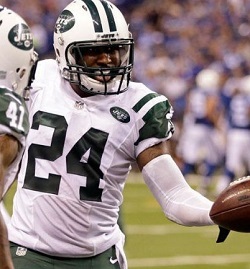 Revis also had four tackles and turned Indy’s No. 1 receiver, T.Y. 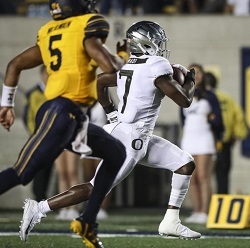 Hilton, into a non-factor (4 rec, 45 yds). 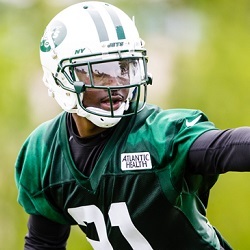 With Revis at the helm, a Jets’ defense that last season threatened to break an NFL record for fewest forced turnovers has this season taken the ball away from its opponents a league-high 10 times through two games.